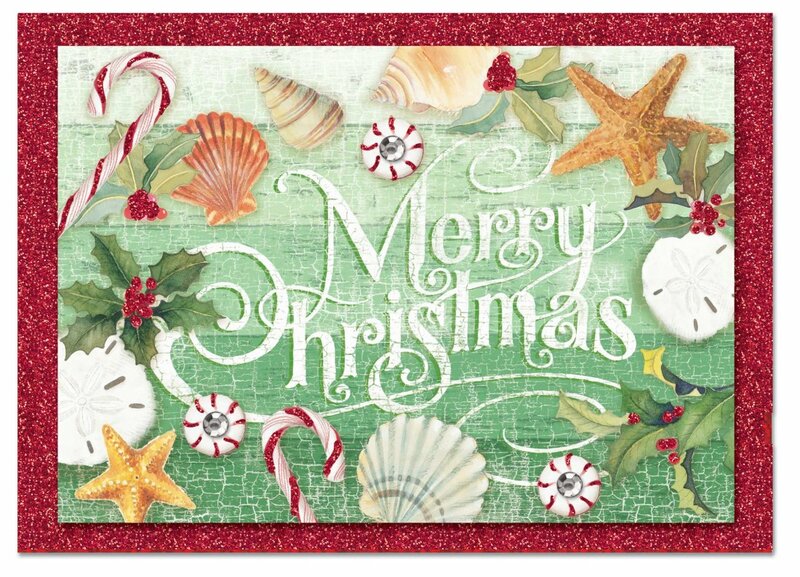 A touch of the sea and a taste of candy make these cards fun and unique! 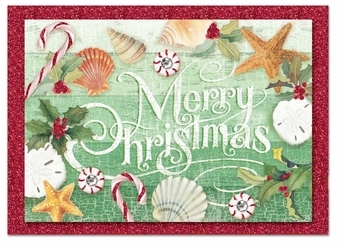 The perfect way to wish friends and family a Merry Christmas, the design has shells, candy canes, and peppermints. Gems and red glitter add a touch of glitz, and inside, the message reads "Hoping your Holidays are filled with Peace and Joy".